I heard the phrase “you can never get enough loops” more than once from a bunch of electronic music producers. This is somewhat true, but after you get all those samples, the truth is you will probably check them just a couple of times. That can be a waste of money, time and space on your hard drive. That’s why I carefully select my backs with loops and delete the unnecessary ones. However, what I found helpful in recent times is to switch to a different option. There is an increasing number of loop banks that offer well-organized samples and many other useful processing tools, instantly at your disposal. Having said all that, you definitely need to check out REV-X Loops by Output. 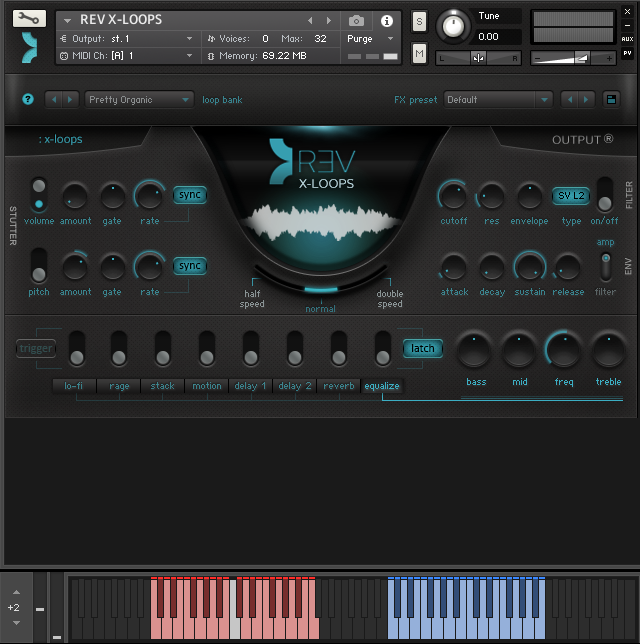 REV-X Loops is designed as a bank for Native Instruments Kontakt player, and you will get to have it for it to load and work properly. It offers thousands of new recordings for source materials, deeply produced, effected and tweaked loops, and categories like Fat & Low, Violin Plucks, Analog Drums, Tribal Beats and Aggressive. Moreover, its robust engine enables you to make the sound your own. 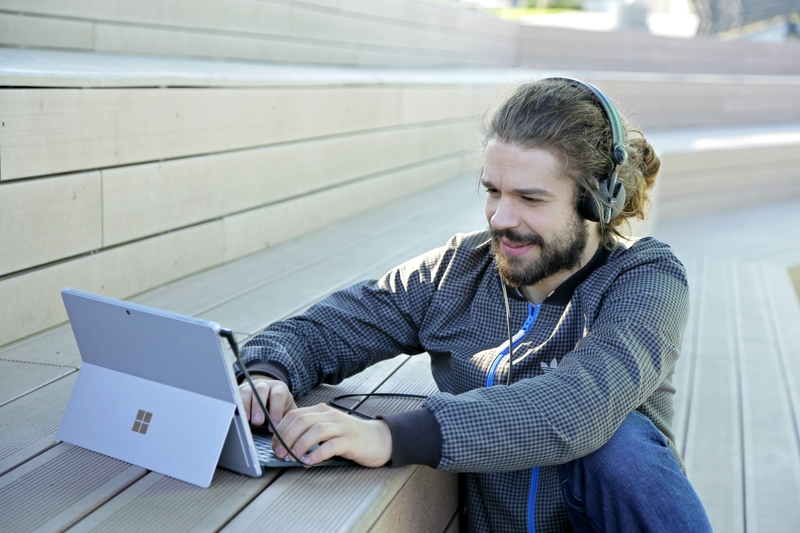 Furthermore, it has stutters, filters and control assignability for performing. This is a pretty serious loops engine so, in the next tutorial, we’ll go through its interface and control parameters, followed with some audio examples. As usual, we will begin by loading a fresh instance of Native Instruments Kontakt player into a newly created MIDI channel within SoundBridge: DAW. Right after opening the Kontakt`s interface I will load the REV-X Loops by selecting it from the list of banks on the left side. Since I showed this process in previous tutorials, I won’t repeat it. After the initial loading, we are presented with an impressive looking interface with all parameters at our disposal. At the top, we can see a section with loop banks and fx presets which offer thousands of sounds and combinations. The middle part of the interface is dominated by a logo of REV-X Loops followed by a picture of the waveform. Maybe not so obvious, but the tempo switch is highly useful. It is located below the logo. Consequently, it offers normal, half or double speed of every loop. On the left, we can see the stutter effect and pitch modulation. They are useful for playing with loops in my opinion. On the right, at the same level as the interface, we can see the filter section followed by ADSR controls. Consequently here you click the switch on the right and change from the filter to amp mode. The lower part of the interface consists of a big line of audio effects. Lo-Fi, Stack, Rage, Motion are just some of the interesting ones. You can use them besides standard delay and reverb effects. So, by clicking on the name of the effect and turning it on by hitting the switch above, more parameters for controls appear on the right. You probably noticed the keyboard at the bottom of the picture. On the left side, marked in red, are the root keys of the selected loop. You can change them by moving thru the scale. On the right, marked in blue, every key stands for a different loop. Once again I must emphasize that the sound and selection of the loops sound diverse and inspiring. Therefore, I encourage you to explore it. To conclude, let’s hear some practical audio examples going over different loop categories offered by REV-X Loops.